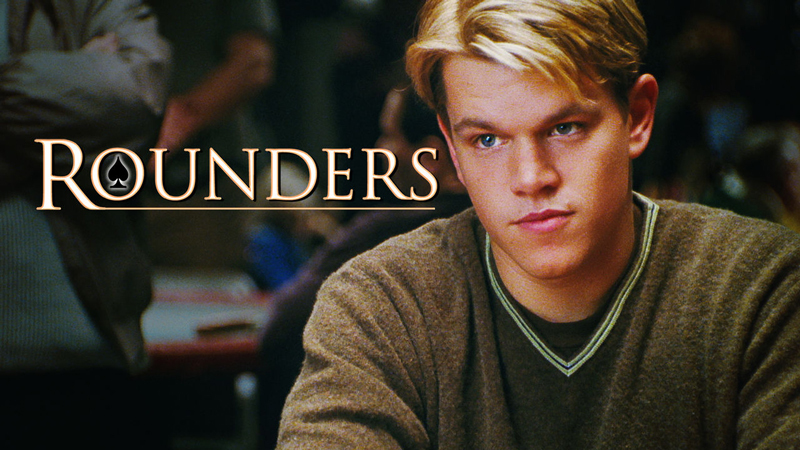 Rounders is a 1998 American drama film about the underground world of high-stakes poker. - the movie also concerns itself with the sensitive subject of "job" as a passion and indirectly suggests the pursuit of passions in life, and not doing what society tells you should be doing. What is the film about (in short)? After losing a high stakes poker game, Mike (a law student) decides to give up gambling. But when his friend gets loses a lot to the big gambling sharks, loyalty draws Mike back to the tables. The protagonists of the movie are played by Matt Damon and Edward Norton, joined by John Malkovich and John Turturro. Rounders is a story filled with passion and tension, with a focus on true friendship, loyalty and thinking first about what his impoverished comrade feels. As mentioned, after losing a high stakes poker game, Mike decides to give up gambling in favour going off to attend the low university. He plans to have a new start in life with his girlfriend (Gretchen Mol). But when his best friend Worm (Edward Norton) gets in over his head in debt to some big sharks, loyalty draws Mike back to the gaming tables, and this time he cannot afford to lose. To gamble or not to gamble? The movie takes you inside this world of gambling, whether played in casinos or underground, in less public places. Mike, the protagonist of the film struggles with two life choices; on one hand what he feels he wants to do in his life (he dreams of playing in the World Series of Poker in Las Vegas) and on the other hand what he thinks he needs to do (graduate law school and have a stable relationship). The fight is a quite intense inside of him, and people around will help him decide what to do in the end. The decision of not playing poker anymore comes after risking his entire $30,000 bankroll while playing Texas hold'em at an underground poker room, run by Teddy "KGB" (role played by John Malkovich), a Russian mobster. The film makes you understand that Mike is going through a very difficult time after this event. His girlfriend Jo (Gretchen Mol) stood by him but she doesn’t want to hear about poker anymore and encourages Mike to concentrate on studying the Law. His relationship with Professor Petrovsky (role played by Martin Landau) is one that has impressed me a lot and I think it impresses anyone watching this movie. Professor Petrovsky seems to resonate to some extent with Mike and to understand his experiences very well. He knows that Mike does not feel in his heart that Law School and becoming a lawyer is the right thing for him. He shares with Mike his life story as if encouraging him to drop out of college and do what he really feels. The teacher has a secondary but reference role in the film and the reply to Mike: "We cannot run from who we are. 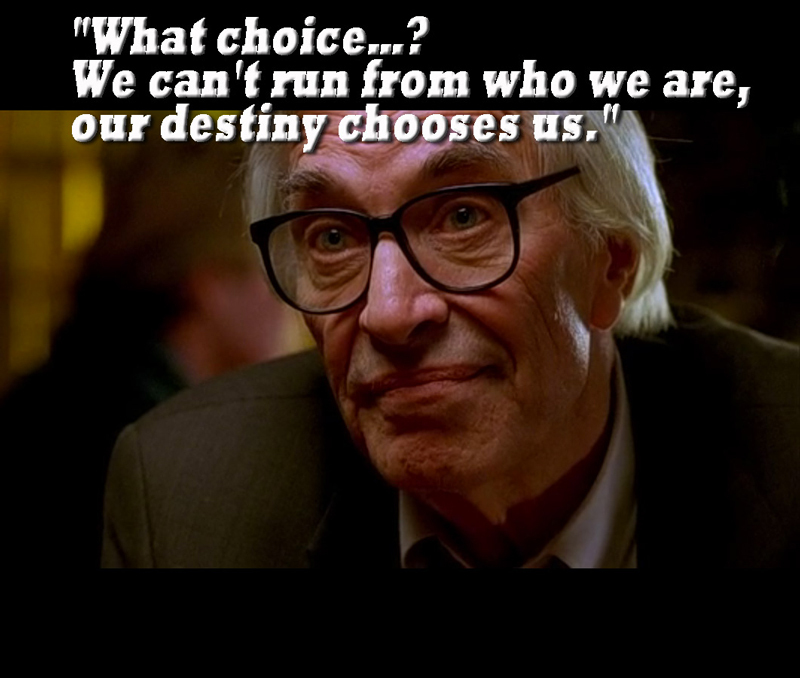 Our Destiny Chooses Us" is the best line throughout the entire movie, as far as I am concerned. These words make Mike feel more confident about his passion for poker, which he does not consider to be a "good luck" game but a complex, intelligent and challenging game. He doesn’t consider he’s just gambling, he likes to think that winning is more of 50% about how good he can play. If Professor Petrovsky encourages him to pursue his passion, his girlfriend eventually leaves him after she realizes that Mike plays poker behind her back with his old friend Worm (portrayed by Edward Norton). After a short series of events with this (eventually), not such good friend Worm, Mike gets to owe a very large sum of money (15.000 dollars) to exactly the person he used to play with years ago when he lost everything he had - Teddy KGB. Feels like a dead end. Do you stop or keep on going? The last part of the film is very intense since you don’t know if he will succeed or not in this challenge. It seems at first that he took the wrong decision of playing poker again. But after he asks for a loan from his professor Petrovsky and he agrees to give him a check for 10.000 dollars, he challenges KGB to the second game of heads-up, No-Limit Texas Hold'em for the remaining amount, with winner-take-all stakes, which KGB accepts. After the first game, Mike wins, so he doubles the sum. Now he can pay the debt he owes, and he can be free. But KGB challenges him to continue playing and to risk all the money again… after he struggles a bit, he agrees. I didn’t expect that move, after all the action in the movie up to this point. I was waiting to see Mike very confident and I would have liked seeing him giving up the challenge. But that’s where I think besides passion and knowledge addiction intervenes. Luckily, Mike gets to win it all at that poker table, 60.000 dollars in total, and after paying the debts and the loan to the professor, he restores his bankroll of 30.000 dollars, money he chooses to use in Vegas, where he’s heading at the end of the movie. Overall, a great film to watch, even if you are a poker player, gambler or not. You will definitively like it!